Do you have boxes of old photos laying around your house? Do you want to preserve them forever on your own custom video DVD? If so, the photo montage is for you. The photo montage consists of your pictures (paper or digital) presented in slide-show form on DVD with basic menus and background music. The photo sequence and background music are determined by you, allowing you to create the ultimate style and outcome that you desire. 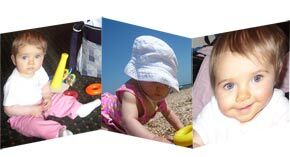 Each picture fades into the next, creating a timeless compilation of your fondest memories. Perfect for weddings, engagement parties, Christmas gifts, or any special occasion.